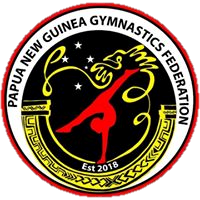 OGU represents the FIG in Oceania which has delegated to the OGU responsibility for promoting, supervising and directing all Gymnastics activities within Oceania subject to the statutes and regulations of FIG. Since 2015, with support from FIG, Gymnastics Australia and Gymnastics New Zealand, working collaboratively have assisted to establish National Gymnastics Federations in Fiji, Cook Islands, American Samoa, Tonga and Papua New Guinea. Whilst ongoing support is provided to these emerging Federations, development activities are also being conducted in Guam, Samoa and Vanuatu with a view to Federations from these countries being formally recognised by the FIG in 2019. The headquarters of OGU are in Melbourne Australia.